In 1951 the US government’s Civil Defense Branch produced the film Duck and Cover. Bert the Turtle reached millions of school children and adults as part of a national campaign to prepare the population in case of a nuclear attack. Even at that time the usefulness of the proposed duck-and-cover maneuver in the face of the utter annihilation arising from a nuclear blast was questioned. 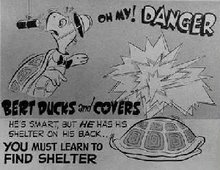 Today’s advanced, larger, and far more numerous nuclear weapons have made the chance of surviving a nuclear attack with the ‘duck and cover’ tactic as hallucinatory as chatting with Bert the Turtle. The threat posed by nuclear weapons is still grave and the only true security for our society lies in their elimination worldwide. 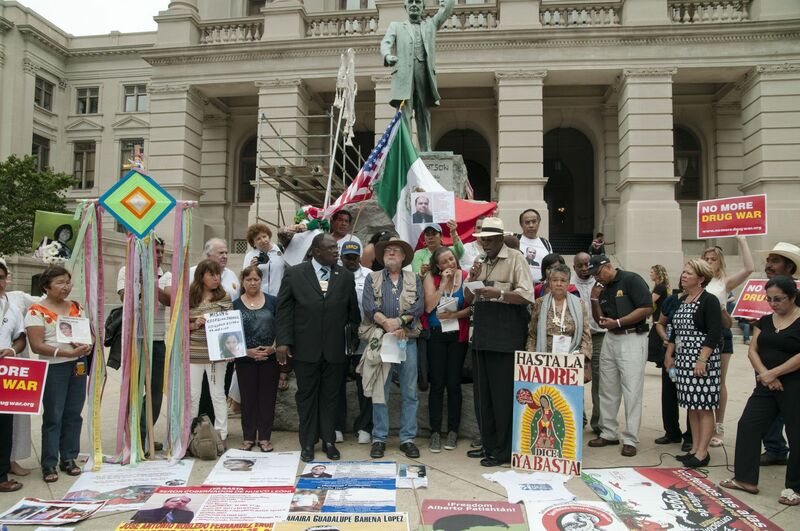 A new, citizen-driven nonviolent reality is emerging in the escalated war on drugs in Mexico. The international perception of present-day Mexico is one of disgust about the escalated violence, thousands of fatalities, mass graves and militarized approaches to fight the powerful drug cartels.